The relief and rescue team evacuated 14 households to safer ground after the Setikharey stream in Gelegphu overflowed and changed its course, today. It started overflowing at around 5 AM. Volunteers from Royal Bhutan Army, DeSuups, officials and locals helped the evacuation process. The stream was diverted within a few hours after deploying machines and volunteers. 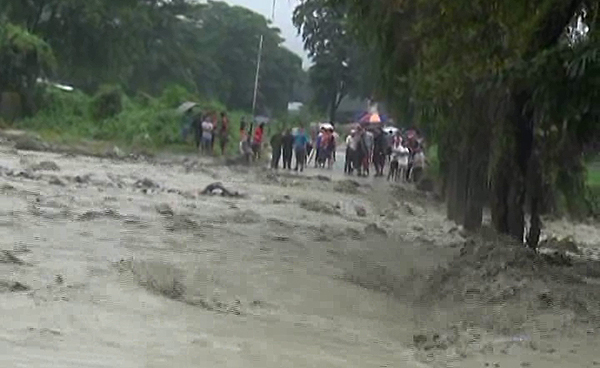 The rainfall last night also flooded the Indo-Bhutan border gate area. It started to subside by lunch time once it stopped raining. People living nearby were also evacuated for safety. 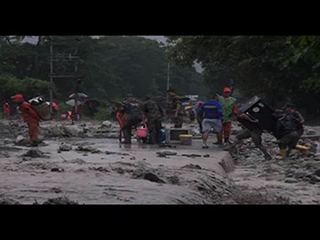 Save for a few damaged electricity poles, no casualty or major damages were reported following the flash flood. As per the weather forecast from the Department of Hydro-Met Services, heavy rain is expected in Samtse, Sarpang and Phuentshogling during the next 24 hours.